Pete Myers: Peering into the Plasticene, our future of plastic and plastic waste. The challenge is undeniably enormous. Huge economic pressures continue the exponential growth curve of plastic production, with no solutions capable of dealing with the problem at scale. I spent two days at a Swiss ski resort at the end of July thinking with a group of experts on different pieces of the plastic problem, especially plastic in the ocean. Ironic, I know. Alps vs. oceans. But the Alps once were ocean floors, so perhaps that is the circular economy. The meeting was organized by the Klosters Forum, which describes itself as "a new platform that brings together disruptive and inspirational minds to tackle some of the world's most pressing environmental challenges." The group they gathered included unquestionably "disruptive and inspirational minds" and it most certainly focused on one of the world's "most pressing environmental challenges:" The nano, micro and macro plastic flowing off land into fresh and salt water. (PS: It's a problem on land too… more on that in another essay). Here at Environmental Health Sciences we knew this was a problem. I gave a TED-style talk about it in 2016 in London's famed Abbey Road Studio, at an event organized by the Ellen MacArthur Foundation just before the Brexit vote. My emphasis was on the possible health implications. But it's too easy to think about the atomized pieces (microplastics?) of this without seeing the full picture. That full picture emerged at the July Forum, because of the range of deep expertise that was present and because the sheer enormity of the challenge utterly resists any simple solutions. Plastic production trends are quintessentially exponential. A headline-grabbing study published in 2017 concluded that half of the plastic ever produced was made in the last 13 years. Above is a graph of the trajectory of plastic production predicted by the plastics industry. Some of that may be wishful thinking, but this trend is today driving investments in production capability by the world's major plastic producers. It's bad enough already. Plastic debris even in the bottom of the Mariana Trench? A paper published in Science in 2015 concluded that "without waste management infrastructure improvements, the cumulative quantity of plastic waste available to enter the ocean from land is predicted to increase by an order of magnitude by 2025." A ten-fold increase in just 10 years (now but 7 years away). Peter Flynn, program director of the Klosters Forum, set the tone at the outset of the meeting when he led with a litany of plastic facts that had been compiled by Isabella Marinho, an undergraduate in Environmental Studies at the New School and an intern at Klosters. 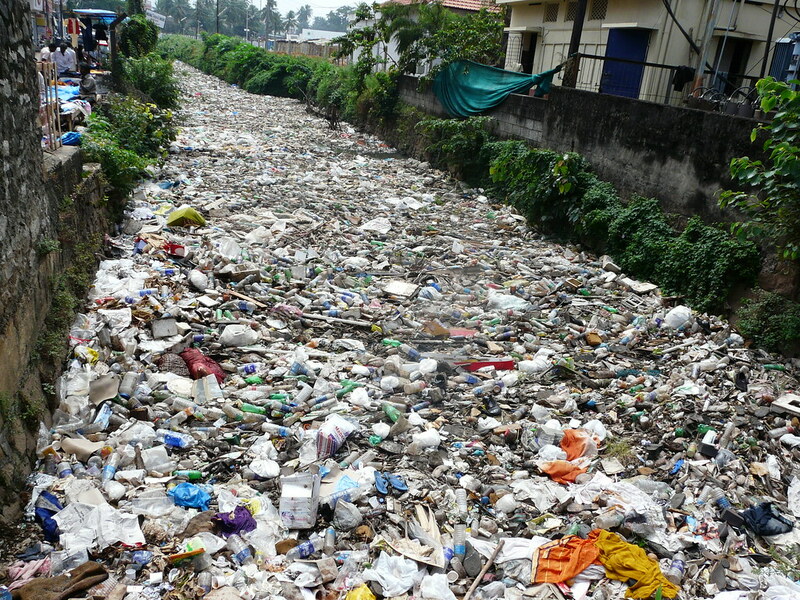 Over 150 million tons of plastic waste in the ocean today. Without significant action, there may be more plastic than fish in the ocean, by weight, by 2050. (Ocean Conservancy and McKinsey Center for Business and Environment, Stemming the Tide: Land-based strategies for a plastic-free ocean, 2015). So the scale of the challenge is undeniably enormous. There are huge economic pressures at play to continue the exponential growth curve of plastic production. There are no solutions in hand today prepared to deal with the problem at scale. Lots of small stuff, often feel-good stuff, but nothing capable individually or collectively of solving it. 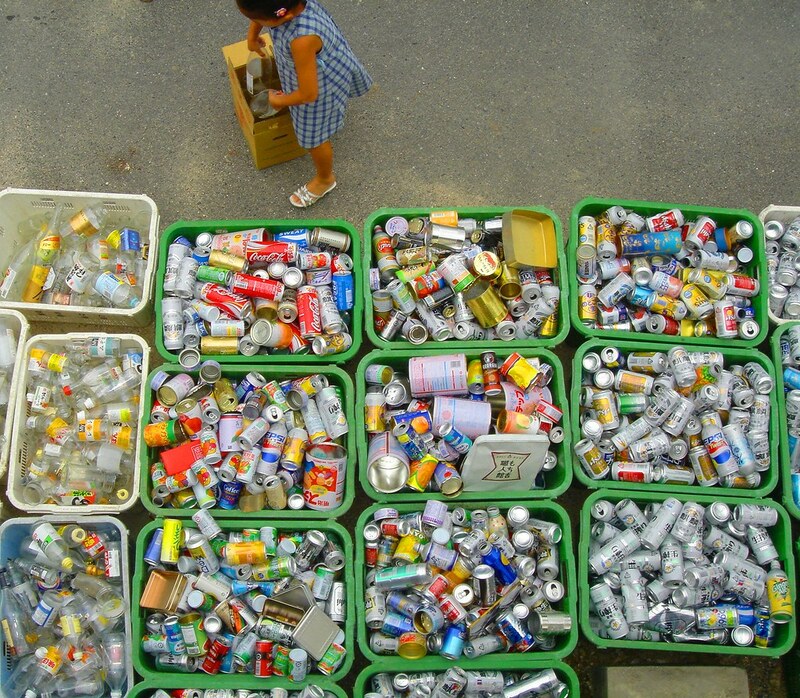 Recycling is simply incapable of managing this onslaught. As Jane Muncke, director of Zurich's Food Packaging Forum (Full disclosure: I am on FPF's board) and an expert on plastics pithily observed "recycling is the fig leaf of consumerism." It allows us to imagine our efforts are adding up to a solution. In reality they don't even come close. But it gives us psychological permission to continue on the current path – to continue with single-use plastics. And the problem will only become worse as we follow industry's projected growth curve. If today's bio-based plastics were to grow to a scale commensurate with the problem, they would have huge consequences for land management and food production. They also almost invariably contain plastic additives necessary to achieve the material characteristics that manufacturers need. Many of those additives are linked to health problems. And then there are the "Non-Intentionally Added Substances", the NIAS, that plague all plastic production because the feed stocks aren't pure and air pollution interacts with the plastic during manufacture to add unknown molecules to the mix. There are new efforts to design plastics that break down on demand. These aren't ready to go to scale and it would take a long time, if ever, for them to be produced at a volume sufficient to have meaningful impacts. Today's commodity plastics are simply too cheap. Plus, break-down plastics are still experimental. They might not work. They, too, may become fig leaves. First, simple solutions about recycling ocean plastics do not take into account the scale of the problem: how much is really out there, how much is macro vs. micro and the toxic dimensions of the problem as it relates to recycling toxic materials. They allow us to feel good but distract us from the problem. Second, recovery from the ocean of micro and nano plastics is impossible, but increasingly we understand that this is where the problem lies, especially the toxicity issues. Third, exponential growth is our enemy, and that's what's happening today and tomorrow. Any solution that ignores current and future growth is, as Muncke puts it, "a fig leaf." We will feel good as consumers, but our actions will not have measurable impact on the problem. And we can go on being feel-good consumers with single use plastics, adding to exponential growth. The enormity of the problem has led EHS to launch its new weekly newsletter, "Into the Plasticene" (free subscription here). The newsletter, like our flagship "Environmental Health News" (EHN.org), aggregates media coverage in English from around the world. Into the Plasticene will put stories in your inbox every Monday about the scope of the problem, efforts to develop (and scale) solutions, impacts on biota, and health implications for wildlife and people, as well as efforts by vested interests to distract and dissemble when they find their ox about to be gored. Whatever we find that can inform your work on plastic, we'll send to your inbox. Please give it a read. "The future of plastics is in the trash can," the editor of Modern Packaging magazine, Lloyd Stouffer, argued in the mid-1950s to a group of industry insiders. Stouffer had advocated for the industry "to stop thinking about 'reuse' packages and concentrate on single use." If the plastics industry wants to drive sales, he argued, "it must teach customers how to waste" (emphasis added). Mr. Stouffer, you have created a global monster. May your descendants live in peace with its consequences. Or not. We've clearly learned Stouffer's assigned lesson, abetted by the abiding cheapness of plastic. Now we have to unlearn it. My head is in a vice as I peer into the Plasticene. And yes, my glass frames are plastic, as are the lenses.